Some researchers argue peak blood alcohol level is not the key contributor to hangovers. Alcohol is metabolised into acetaldehyde, which is toxic (it can cause flushing, nausea and significant discomfort) and then into less harmful products that are eliminated. They conclude that acetaldehyde is a key suspect in hangovers, even though it has largely been metabolised by the time a hangover really kicks in. Some of us are more sensitive to certain beverages. This may be because of chemicals called congeners, which are products of the fermentation process. Congeners contribute to the taste and colour of a drink; they might also contribute to the severity of a hangover. Darker drinks, such as red wine, bourbon, brandy and whisky, are generally higher in congeners than, for example, white wine and vodka, and this might mean worse hangovers. 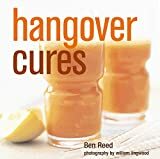 Unfortunately, despite some well-publicised claims, there is no “cure” for hangovers. A hangover is your body’s way of saying you drank too much. Prevent it by drinking less alcohol, ensuring you’re hydrated and only drinking alcohol with or after food. Steve Allsop, Professor and Director, National Drug Research Institute, Curtin University. He has been involved in policy, prevention and treatment research and practice and professional development for health, police, education, and community organisations for almost 30 years.